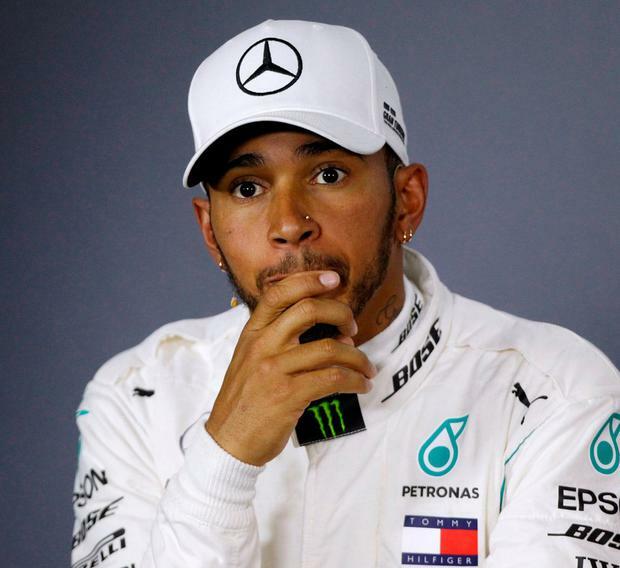 A dominant Lewis Hamilton took advantage of Sebastian Vettel's opening-lap crash with Valtteri Bottas to move back to the summit of the world championship. Hamilton ruled from start to finish on Formula One's first return to France in a decade to claim his third win of the season and move 14 points clear of Vettel. The German smashed into Bottas' Mercedes on the 210mph opening-bend charge at the Paul Ricard Circuit, and he was forced to stop for a new front wing. The German was penalised with a five-second penalty, and recovered to finish fifth, but it marked his fifth high-profile mistake in the last 12 months. Max Verstappen crossed the line in second place as Kimi Raikkonen overtook Daniel Ricciardo in the closing stages to complete the podium positions. Hamilton was in emphatic form all weekend, and after topping both practice sessions on Friday, sticking his Mercedes on pole, and then nailing the start, his win never appeared in doubt. There was chaos behind the British driver as Vettel roared off the line, but then lost control of his Ferrari under braking at the first corner and thudded into Bottas's Mercedes. After banging wheels with Hamilton in Azerbaijan last year, crashing out at Singapore, tangling with Hamilton and Verstappen at the start in Mexico, and running off the road in Baku in April, Vettel was left to rue another costly error. The safety car left the track on lap six, and Vettel wasted no time passing Fernando Alonso as he squeezed his way through at Turn Four. Alonso spun, and took aim at the Ferrari man. "I touched with Vettel," Alonso said. "I hope he has damage. It was a stupid move." Vettel showed no signs of damage, and began his charge back through the field. He was in the points on lap 10, and passed Sainz for fifth 10 laps later. Up front, Hamilton was cruising. He stopped for new tyres on lap 33, momentarily losing the lead, before regaining it when Raikkonen stopped a lap later. Vettel had to stop again, too, and after making it as high as third, was back in fifth. That is where he would remain. McLaren have endured another disastrous weekend, and Alonso did not get to the end. After moaning about Vettel earlier in the race, Alonso was on the radio again. "I have no tyres, no brakes, and I am out of the points," the Spaniard cried. "I am trying to do whatever. I don't care too much."